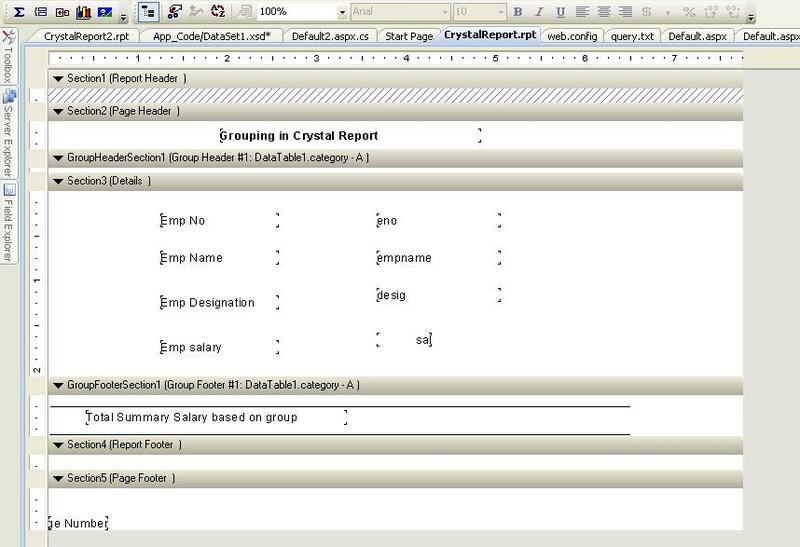 How to create grouping in crystal report? 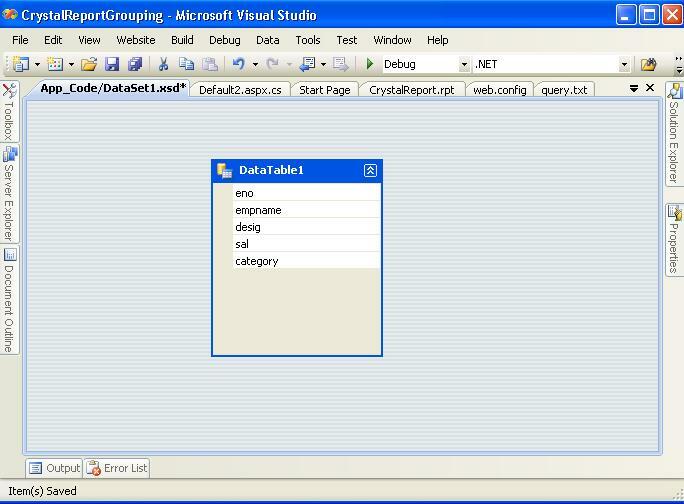 In this article I am going to explain about crystal report grouping . This concept is used in various projects for developer. 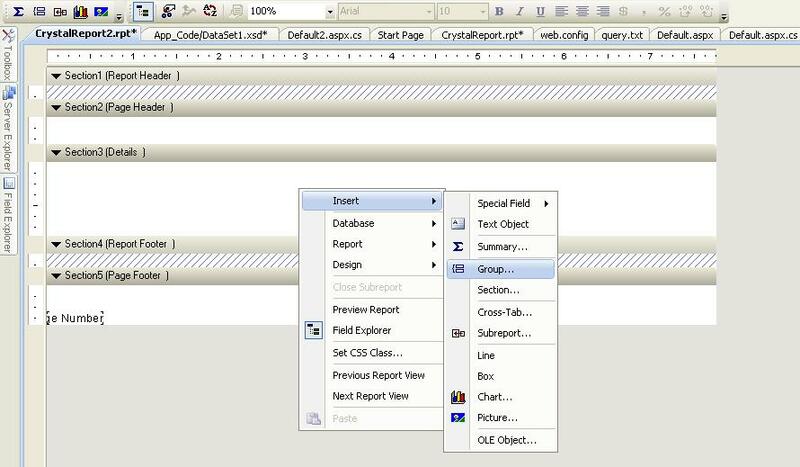 Follow this below steps to create grouping in crystal report easily. For example I have store lots of employee information in the employee table. 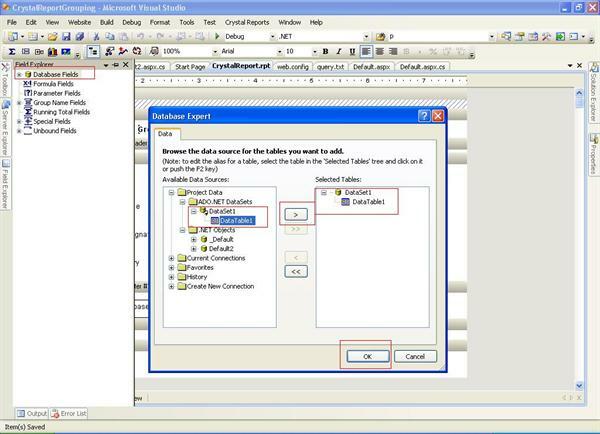 There are two categories of employee in the database table. Using this category I have grouping in the crystal report. 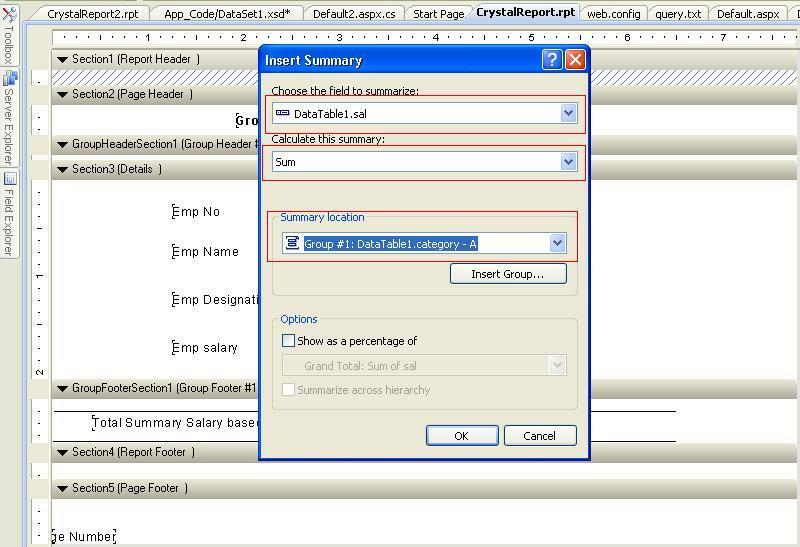 Then right click on the Field Explorer and choose database expert choose newly created DataSet1 -> DataTable1 and click ok button to add that DataSet1 Fields in the crystal report designer. 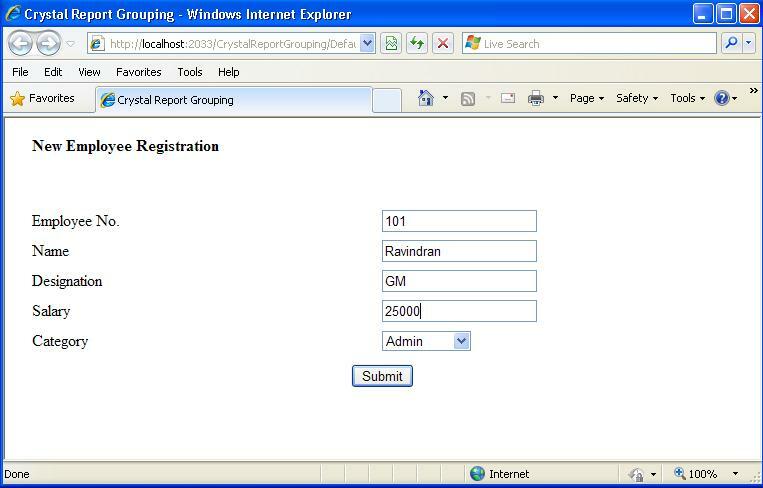 2) In the next screen select Groping field means grouping based on which field. 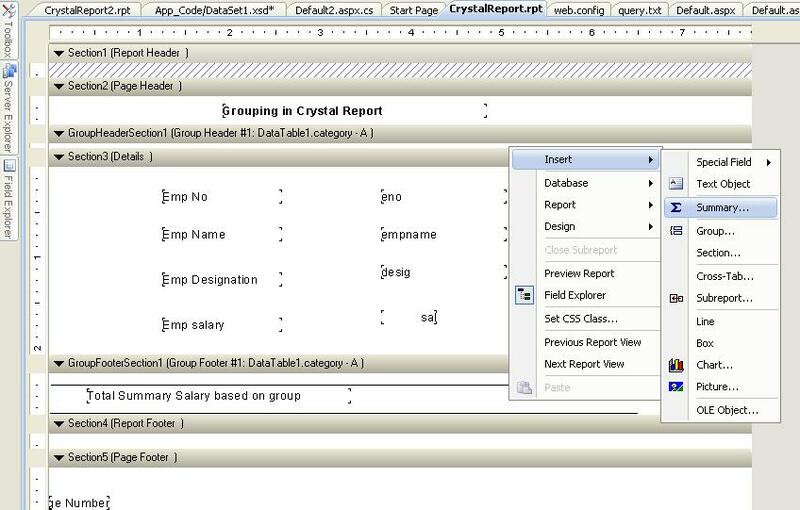 &LT;%@ Register Assembly="CrystalDecisions.Web, Version=10.5.3700.0, Culture=neutral, PublicKeyToken=692fbea5521e1304"
Here with I have attached source code of Crystal report grouping download it and try to know about crystal report grouping. 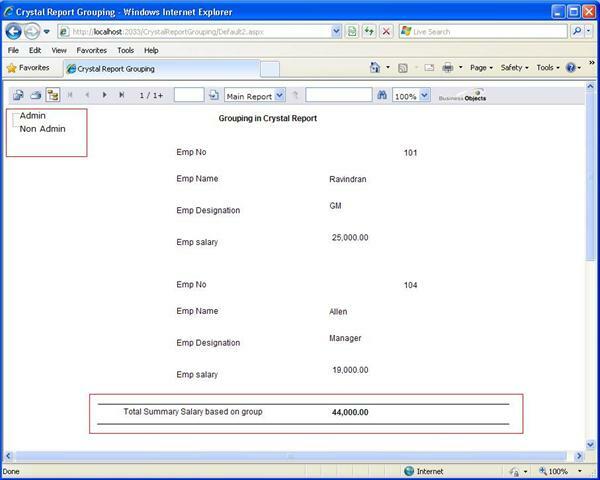 I hope this article help to know crystal report grouping process. It depends on how you bind your report to the viewer. If the report is embedded you will have direct access to sections to enable suppress.